The dime that gets sucked into the vacuum cleaner. The geologic stratum of sticky pennies and nickels you pry from the cup holder in your car and sheepishly toss in the trash. Those coins that spill out of your pocket when you’re tumbling in the yard with the kids, or when your jeans are tumbling in the dryer at the Fluff ’n’ Fold. All those pennies, nickels, dimes, quarters, halves, and dollars that end up lost or in the landfill add up to about $61.8 million a year, according to an October 12 report by Joe Ryan of Bloomberg. Ryan tells the story of Covanta, a Philadelphia-area company that turns trash into electricity by way of a massive incinerator. Covanta owns 45 such facilities around the world; the one in Philadelphia yields about $360,000 in soot-covered pocket change each year. So much valuable metal—not just pocket change but iron, steel, copper, and aluminum—is thrown out in the trash that Covanta spent $70 million the last few years on equipment to extract the metal from the ashes in its plants. Just last year, Ryan reports, the company made $61 million on the sale of that metal to recyclers. 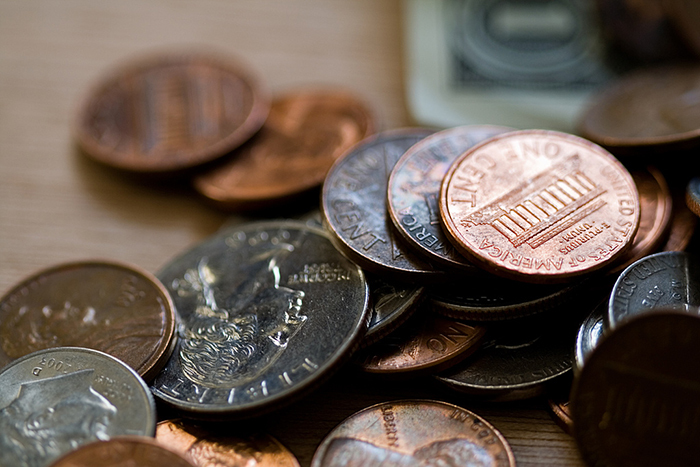 The coins that are recovered from the trash used to be sold back to the U.S. Mint. Thanks to the suspected schemes of a few bad actors, however, the Mint suspended the program in 2015, then extended the suspension again this year, leaving Covanta and others quite literally holding the bag. Recyclers and other businesses, like Covanta, that work in the enormous U.S. and world waste streams have developed ways to separate loose coins from the trash and sell them back to the Treasury. The standard rate in recent years was $20 per pound, meaning that a ton of banged-up coins that would jam a vending machine (if they even made it through the slot) would fetch around $44,000. Zorba is separated into its basic constituents by hand or mechanically, depending on the region and the facility. While many U.S. companies handle their own heavy-media extraction, an enormous volume of the work is done overseas, with recyclable metal both in primary form (e.g., junked cars) and in the form of zorba ending up in China, home to Wealthy Max Ltd.—the world’s largest mutilated-coin dealer. In 2010, the Treasury began to suspect that some coin recyclers, including Wealthy Max, were adding non-coin scrap—possibly even trashed counterfeits—to their junk-coin shipments. An investigation revealed that some of these shipments contained silicon and aluminum, which are not used in clad U.S. coinage; the metals dealers say these elements are leftovers from the reclamation process. In 2015, Treasury suspended the buyback program, and its fate remains in limbo. Facilities around the world, including U.S. plants like those belonging to Covanta, continue to quietly separate the woeful-looking change from the waste stream and hold it in warehouses, hopeful that the Mint will eventually lift the suspension and they can turn their trash back into cash. For more on the subject, AmericanMetalMarket Daily published an excellent, in-depth piece on March 23, 2016, and a follow-up on April 29. Interested in guides to our whole, unbent, unmutilated circulating coinage? Check out A Guide Book of Lincoln Cents, A Guide Book of Buffalo and Jefferson Nickels, and A Guide Book of Washington and State Quarters, all by Q. David Bowers; and A Guide Book of Franklin & Kennedy Half Dollars, by Rick Tomaska. Well at the very least we’re given a powerful clue about our $Trillions of national debt. Welfare for the World. Funded by the Americans at the bottom of the wealth heap – the unheard working class. Very nice article and good links to the other stories. It makes a lot of sense that 5% of the coins minted per year could end up in the trash. With an average of about $700M per year minted, means $35M recycled is reasonable. Funny thing is if the recyclers melt the coins they could get in trouble (at least for the pennies and nickels). My guess is that the mint is going to not bring this program back. Too bad for you!